Click here to be the first to review South Luangwa N.P. 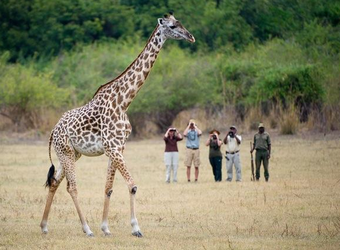 The South Luangwa National Park is a legend among safari connoisseurs. The walking safari originated in the Luangwa Valley, whose oxbow lagoons are a magnet for elephant, zebra, 14 species of antelope and huge herds of buffalo that reach 1,000 at the height of the dry season. The river harbors 50 hippos per kilometer. Thornicroft’s giraffe and Cookson’s wildebeest are unique to the park, while wild dog and large prides of lion are notable predators. The Luangwa River and its tributaries form the lifeblood of this vast woodland savanna. 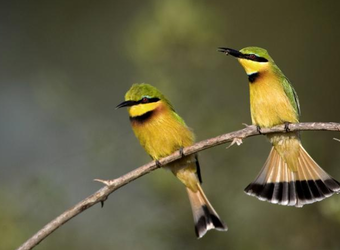 In the dry season, the arid landscape and concentrated water resources make wildlife viewing optimal, then the emerald season creates a verdant backdrop for myriad colorful birds. Mopane woodland is dotted with open, grassy floodplains, while the abutting miombo woodland flanks the slopes of the Muchinga Escarpment to the northwest. The classic walking safari is an optimal way to explore this ecosystem intimately, often meandering between bush camps, through broad, shallow rivers and into woodlands, always with armed rangers and trackers and typically no more than six guests per group. Wildlife drives are also offered from most camps, allowing close encounters with the large herds of elephant and buffalo that dominate the area. This is a part of Africa with which civilization has barely tampered, still a very wild and pristine wilderness. South Luangwa is one of the best wildlife-viewing regions of Zambia, with subspecies of common animals that exist nowhere else but here. Thornicroft’s giraffe, with just 1,500 remaining in the wild today, are found only in the Luangwa Valley, and there are none living in captivity. Crawshay’s zebra is a subspecies of the common or Burchell’s zebra, with slightly narrower stripes and differences in the teeth, found only in the most remote areas east of the Luangwa River, in Malawi, in remote southeastern Tanzania, and in Mozambique’s little-known Gorongosa District. Herds of elephant and Cape buffalo can be several hundred strong during the dry season as they mass around vital water sources. Cookson’s wildebeest is another subspecies strictly limited to the Luangwa Valley. Lion, leopard, wild dog and other sought-after predators are routinely seen, while some 400 bird species encompass African favorites such as rollers, kingfishers, bee-eaters, storks, cranes and more. 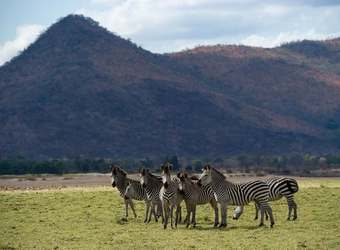 Each key wildlife region of Zambia is distinct from the others. South Luangwa’s unique subspecies and huge elephant herds drawn to the woodlands complement the large herds of unique antelope, such as puku, common to the open floodplains of Kafue, as well as cheetah and tree-climbing lions. For birders, these two areas combine to showcase a broad range of birdlife. Lower Zambezi National Park offers the chance to canoe and fish on the mighty Zambezi River, with its giant pods of hippo and nests of crocodile. The Livingstone, Zambia side of Victoria Falls provides the only opportunity here to see rhino, in Mosi-oa-Tunya National Park. Beyond Zambia, Botswana’s Linyanti or Okavango Delta offer a similar sense of wild, unfenced, off-the-grid nature in a completely unique ecosystem with a wide variety of different animals. Farther afield, Namibia’s Etosha National Park and Damaraland showcase desert-adapted elephant and rhino in yet another entirely different setting. Reviews for South Luangwa N.P. Review South Luangwa N.P. No reviews for South Luangwa N.P. Click here to be the first to review South Luangwa N.P. 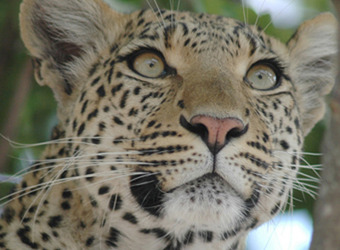 Safari Itineraries that include South Luangwa N.P. When did you visit South Luangwa N.P. ?